June 23, 2015 in Politics. I grew up on the East Coast. 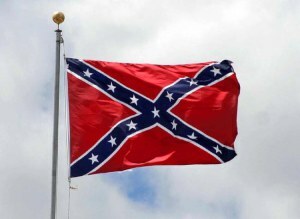 I have never had a Confederate Flag and I never wanted one. But in a way, acquiring one now is an act of support for freedom and a push back against what has become the weaponization of Political Correctness. In a twist of irony, the US Stars and Stripes and what it stands for is now the protector of the Stars and Bars ( Southern Cross) . Because It is a protector of free expression, Liberty, free speech, it is the representation of those freedoms.